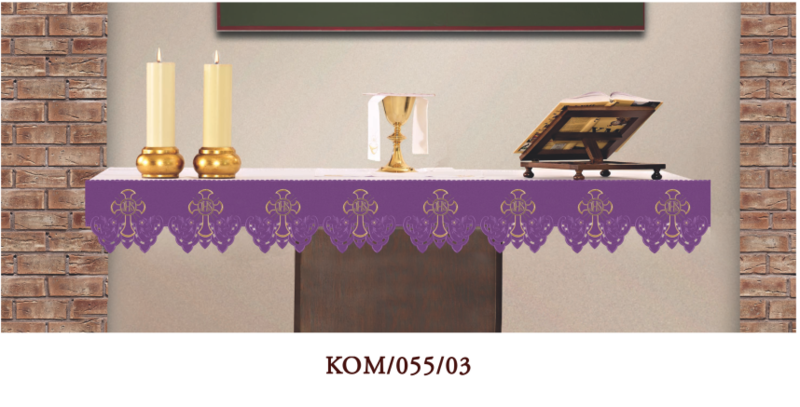 We offer you the tablecloths altar decorated with embroidered metrażami . 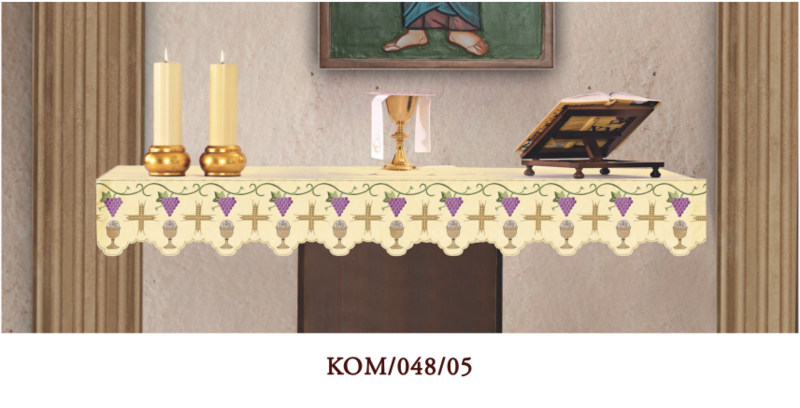 A wide range and availability of films on each liturgical color will allow you to choose the right tablecloth for each liturgical season . 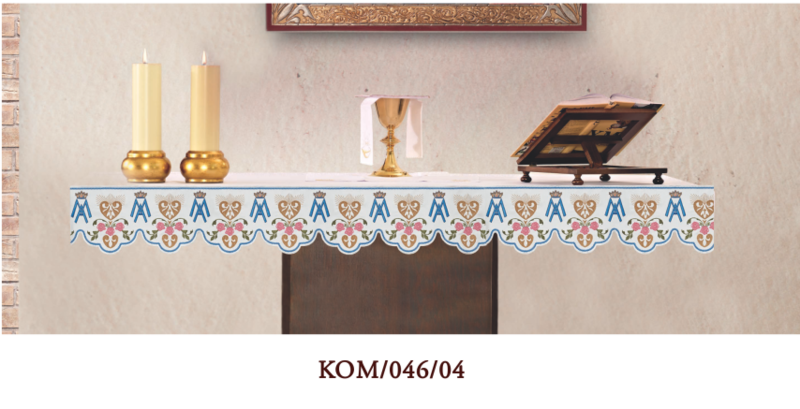 Tablecloths are made from high quality fabrics stain resistant . 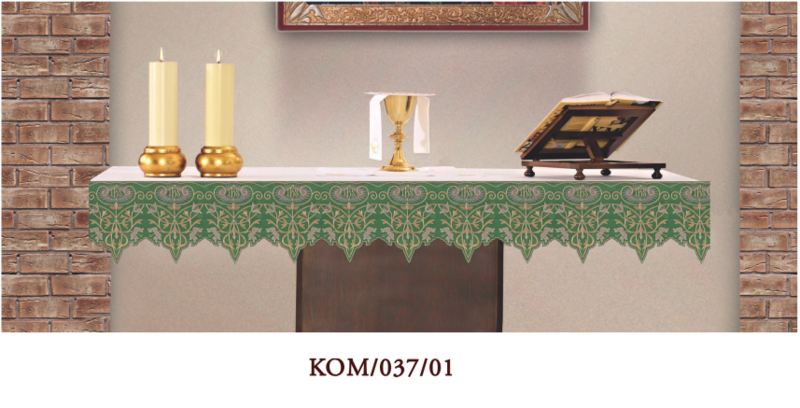 Quadrature may be sewn to the front and / or sides of the tablecloth . 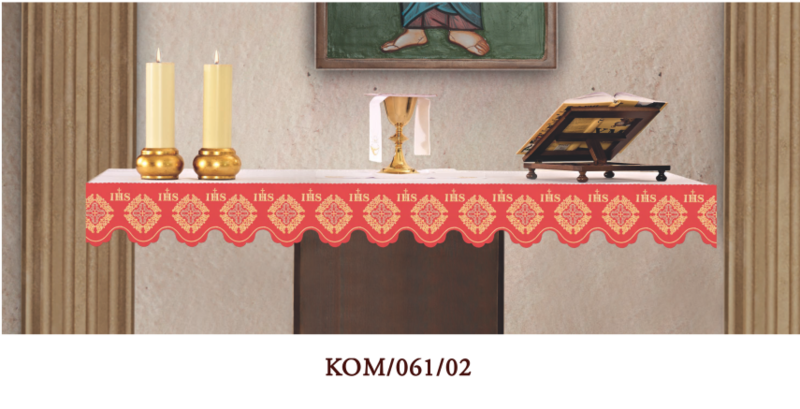 We tablecloths on the individual size of the altar.